duper Pro is an evolutionary Desktop 3D printer. Meticulous design and Craftsmanship collide in a kaleidoscope of amazement that is the duper Pro. Enabling easy one touch printing, plugged in or Wirelessly. Witness how easy 3D printing can be. Click on the Video below to learn more. The Machine with a look of subtle beauty and incomparable performance. duper Pro was designed to add to the elegance of your workplace. Its time to move beyond the traditional 3D Printers and embrace the Future. Feel confident and at ease while using Duper Pro to turn your ideas into reality. Your duper Pro comes equipped with an easy and robust Cloud connection that lets you print and monitor from the comfort of your couch. Since all of us have a pocket sized computer i.e. smartphone in our pocket, it seems only logical for us to provide you the ability to control your 3D printer from the palm of your hand. Monitor your Printer from anywhere in the world. Manage your 3D files on the cloud. 8 GB of Cloud storage Space available. UPTO 78% SILENT AND 93% MORE PRECISE THAN TRADITIONAL BEARING RODS. USING LINEAR RAILS TO GIVE YOU UNBEATABLE PRINTING SPEED & PRECISION. Compatible with Windows, OSX, Linux, and all mobile devices. Easy to use all in one host CURA, Repetier, Slic3r & Simplify3D Slicing profiles supported. WiFi, SD Card, USB. 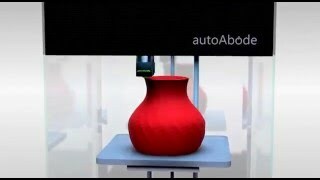 Access & control your 3d printer from internet/ smartphone. Slice and store files in the Cloud. "A wonder to behold. Innovation abound, Deserves a spot on your desk. A piece of machinery that is well ahead of its time." "Silent as a cat and runs like a horse. An amazing 3D Printer that sets a new standard for other microwave machines posing as 3D printers." "I was able to build my own props for my stop motion animated video in record time. Unbound Versatility." Click here to place your order and unleash the power of 3d Printing!